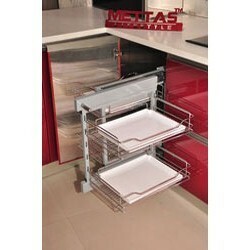 Pioneers in the industry, we offer steel modular rack, designer rack and designer modular rack from India. Backed by the rich experience and hard working professionals, we are able to deliver Steel Modular Rack. The modular racks offered by us are perfect solutions for variety of rack mount server applications. Our professionals make sure to design these products as per the prescribed standards and norms of the industry. We manufacture and export a wide range of Designer Modular Rack which are specially designed to serve the requirements of our clients. 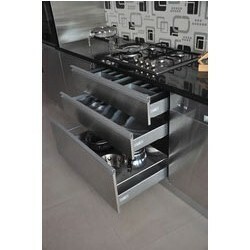 These are manufactured using premium quality stainless steel. These are available at an affordable price and are used widely in large hotels and in railways as food storage. These have multiple storage facilities and are heat resistant. 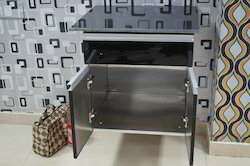 Looking for Designer Rack ?